Home › Advice › How wide are roads? The UK’s road network has been developed over a couple of thousand years. The Romans were good at building them and the trunk roads were around 5-8m wide, but do we use standard widths nowadays? 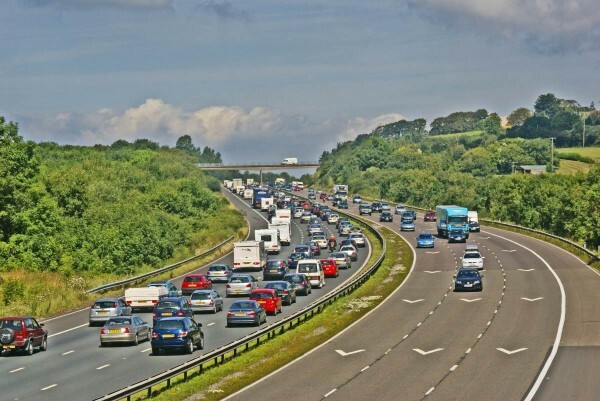 When dealing with existing streets, lanes, cul-de-sacs, motorways, dual carriageways and other types of roads, the tendency is to keep the original width unless it needs to be widened to allow more traffic to pass or to improve safety (e.g. by creating a hard shoulder). Roads might be widened to be standardised when they are resurfaced or realigned. 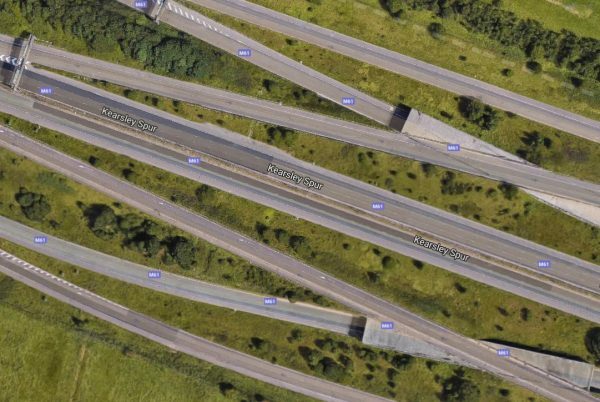 The widest section of ‘road’ in Britain is most likely the 17 lanes on the M61 at Linnyshaw Moss, although it’s a braided carriageway rather than one section of road. Linnyshaw Moss has 17 separate lanes spread across the main carriageway and slip roads with a maximum width of about 190 metres from the outside edge of the hard shoulders. The UK’s existing roads (not braided carriageways like Linnyshaw Moss) range from barely wide enough to fit a large car through to more than 30 metres on some motorways (e.g a 6-lane carriageway will be around 22m wide not including the hard shoulder in each direction and the median strip). The width of some sections of road can’t be easily changed, such as over historic humpback bridges. How is the width of new roads decided? 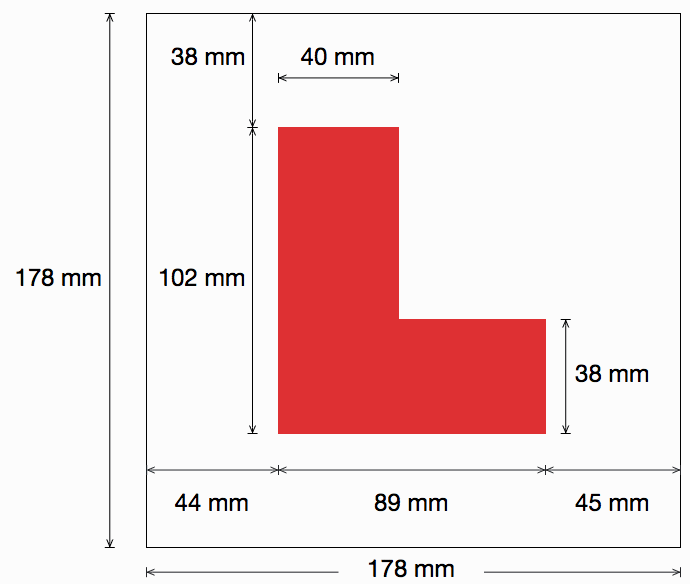 The maximum width of a vehicle is 2.55m and the maximum length is 18.75 metres, so the width has to allow those vehicles to complete any turns in the road, including into side roads. Theoretical modelling overseas has found that a heavy vehicle 2.5m wide requires a maximum of 3.2m at 90km/h (56mph) or 3.1m at 60km/h (37mph). 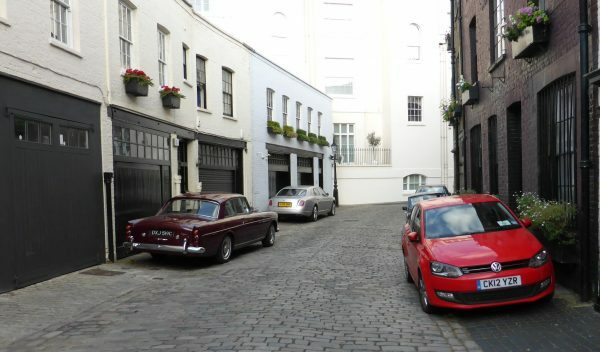 The paved width is the area of road that vehicles drive on and for new roads there are standard widths that were set in 1993. The usual width of a single lane is 3.65m or 12 feet, but there are exceptions where narrower lanes are allowed, or where lanes are widened to allow for the turning circle of heavy vehicles (e.g. in tight corners). The overall paved width will increase if there’s a mediam strip or turning bay. 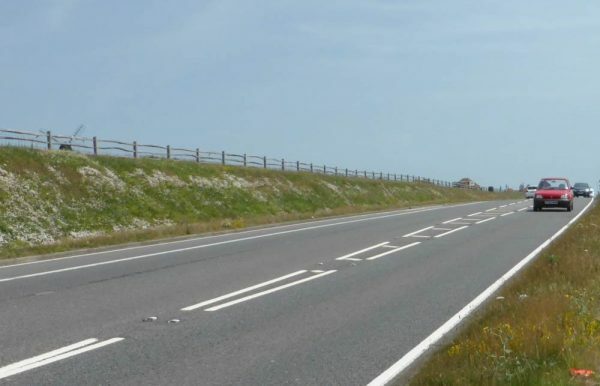 A median strip begins on a road near Rottingdean. 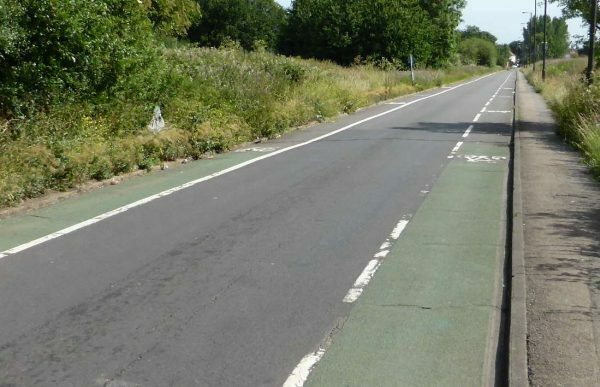 This road also has a cycle lane on the far carriageway. Home zones (mews, courtyards and small cul-de-sacs for residents only): 3.7m absolute minimum for short narrowings or ‘throttles’; 4.8m minimum and 5.5m standard. Single carriageway with two lanes (one in either direction): 5.5m to 7.3m, depending on the traffic and number of access points on the road (like driveways). If it’s a bus route the minimum is 6m (residential street) or 6.75m or 6.9m for other routes depending on the bus. 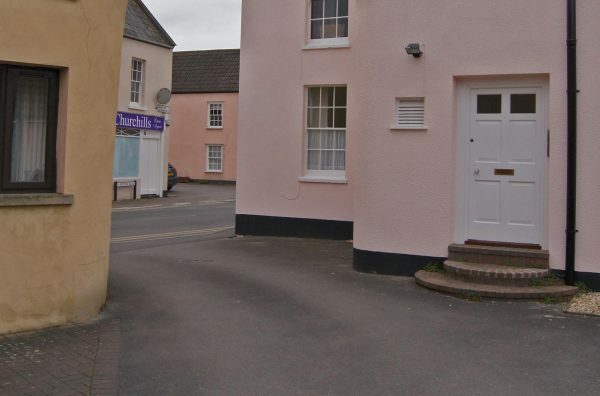 Standard residential streets can be as narrow as 5.5m, as can be rural roads. Single carriageway with cycle lane: 8.8m (principal roads), 10.3m (highways) or 9-10.3m (classified roads). The cycle lanes are 1.5m wide each way. If the road is one-way, then the lane will be 3.65m. Dual carriageway with two lanes in each direction: 2 x 7.3m separated by a median. 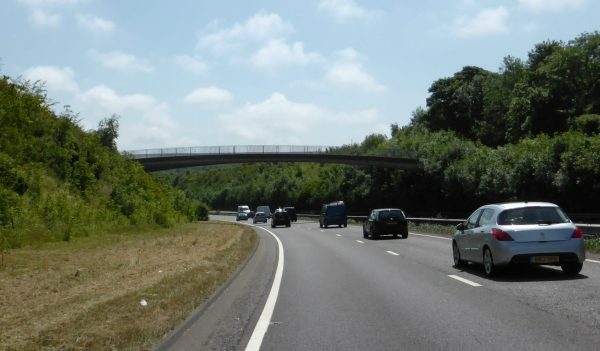 We also have short stretches of motorway with 4, 5 and 6 lanes plus the shoulder such as the M25 just north of junction 14 (next to Heathrow Airport). The width between the hard shoulders on either side of the motorway is around 56 metres (12 lanes plus 2 hard shoulders plus a median dividing barrier). Why don’t we make roads wider to be safer? As road widths increase, people’s speed increases until the point at which drivers perceive that the road should be two lanes, even though it’s not marked. Narrower roads lead to lower speeds. ‹ What are the rules for using L plates for a learner driver?